As we’ve already mentioned earlier in this guide, France is a country that many people choose for their education because it is literally world class. Education is a serious matter in France, as it should be, and those who attend an institution in the country can always count on getting the very best education possible. There are so many different industries in which France excels, you can easily earn a degree no matter what type of career you are interested in. Nuclear, Space and Aviation teaching in France is very popular. Those who attend universities in France often do so because of the technology they offer. Other industries in which France excels in include teaching, languages, art, history, medicine and law. 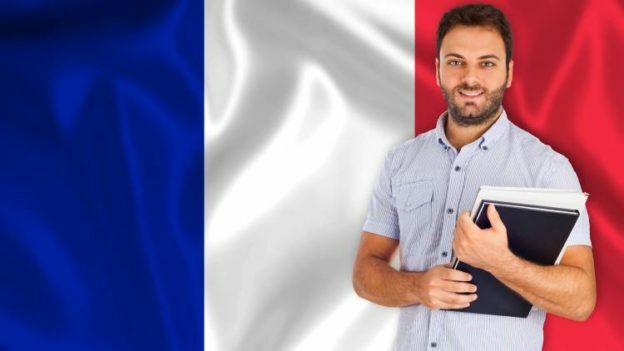 If you are interested in becoming a teacher, France is definitely the country that can make your dreams come true. Of course, you need to be sure that you are going to stay in the country or already live there if you plan to earn such a degree as it cannot be taken out of the country and used to teach. You can, however, attend one of the great colleges and learn a language course and degree in which you will be able to take out of the country and use. There are many different French language courses being taught, but you can also learn German, Italian, Spanish and English in the country as well. France is a country that excels in law degrees; however, this is another area that is best left for the locals (e.g. England and Wales and France have completely different legal systems (common law and civil law respectively)). Those who are interested in learning international law will find the many different courses in France to be of the highest degree. Economics courses in France are very popular for both local and international students. France is chosen for economics courses because they are often much more sophisticated courses than are taught in many other European countries. Another excellent choice for study in France is science. Now, should you decide that you want to study a science course in the country you must be prepared and determined. As France is so high on their standards of learning, the science programs offered at the various colleges and universities are often difficult and designed for those who truly want to earn their degree in the field. While challenging and time consuming, the rewards of earning such a degree are all well worth it when the full course is over. Medicine is another field that excels education in France. While courses in medicine take an average of five years to complete, it may not be that easy to make it through the first year. It is certainly hassle-free to enter a college or university for a first-year program; however, places in the following years are highly competitive and often hard to attain. Again, this is related to the wonderful opportunity to extend your learning through the amazing education offered in French schools. The colleges and universities in France that offer these courses ensure that their students are given the best of learning opportunities so they can be the best at what they do. They seem to know more than the rest of the world about these topics and make it their mission to teach students far beyond the normal realms of learning. For individuals who desire to reach the top and become the best, choosing an institution in France for one of the above mentioned degrees is a wonderful idea. If you are looking to build a future career in one of the areas listed above you can certainly count on getting the best education through one of the fine colleges found in France.